HomeConditions & Symptoms FAQWhat is Gluten Sensitivity? 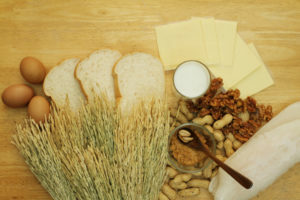 If you suffer gastrointestinal symptoms when you eat foods containing gluten, even though you don’t test positive for celiac disease, you may be diagnosed with non-celiac gluten sensitivity or non-celiac wheat sensitivity. While this is not as serious as celiac disease, research shows that it can still cause damage to the intestine, so you will be advised to remove gluten from your diet.